Italian fashion photographer Cristian Martinelli and stylist Patricia, also known as PC Williams, have joined forces in a photoshoot. The duo captured an iconic figure in photography: the bride. But they gave her a new twist in modernising the bridal aesthetics, far from Testino’s shots of Kate Moss and Jamie Hince’s wedding or champagne socialite ceremonies. There is something disconcerting about Martinelli and William’s work and we keep being obsessed by it. We interviewed both of them in order to know what is hidden behind their pictures and how these two creatives ended up working together. A quick chat with Cristian Martinelli, Italian fashion photographer based in Milan and London. Can you tell me about your background and your experience as a photographer? I began my career by accident for strange coincidences. I immediately suffered the first artistic influences when I was kid, in through my older brother, former punk musician, artist and set designer, and then I developed my ideas doing many experiences. I think that living to the fullest is the real key. What does photography represent for you? A magic game that can surprise you yourself. What ideas and themes did you want to convey through the photoshoot? Take a simple and classic concept like the bride and transform it, letting yourself go with your own fantasies. Why was Patricia the perfect match for working together on this project? I went to work in London because I think it’s a great place to collect inspirations, and in Patricia I have found a common passion for subcultures and above all a great energy. 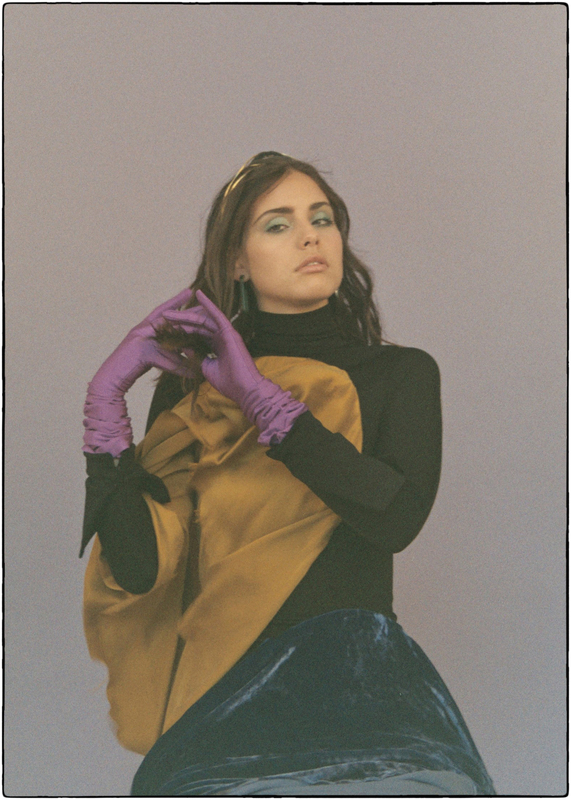 What fascinates you about shooting a woman like Moffy? I wanted to work with her from the first time I saw her on a cover. I do not know why, everything fascinates about her, and meeting her was even better than I expected. A quick chat with PC Williams, stylist, creative consultant and lecturer at Central Saint Martins in London. I have Nigerian & Guyanese parents but was born and raised in London. So having multicultural eye within my styling references is key to my work. 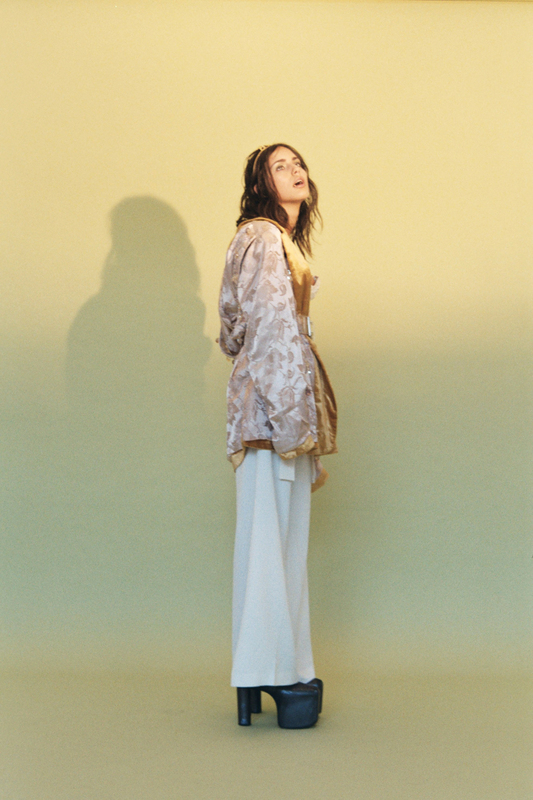 What story do the clothes you chose tell in the editorial? She’s young & fearless, whether she’s a bride or not is up to the viewers to decide. What made working with Moffy special to you? I’ve loved Moffy for ages!! Her face is incredible and the vibe and energy she brought to set was great. Traditional fashion brands versus newcomers? Traditional or new, it’s all about the energy! There are some traditional brands, which have brought in fresh energy to their design teams. There’s a culture brewing in fashion, sparking new ideas in new cities and that’s a really great thing. How does London help you to express your creativity? There’s so much going on in London that it’s hard not to be inspired! The culture is ripe with ideas and creativity. The possibilities are endless. It’s a great place to be to develop as an artist and find new ways of expressing who you are. 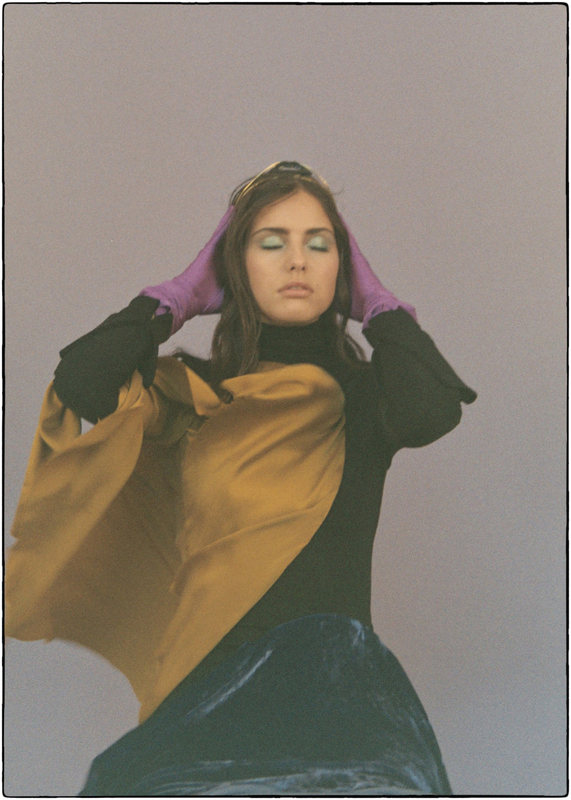 Dress PAULA KNORR, Tiara AMBER SAKAI, Earrings WEEKDAY, Gloves CORNELIA JAMES. Photography CRISTIAN MARTINELLI, Styling PC WILLIAMS, Hair HIROKAZU ENDO using Bumble & Bumble, Make-Up KAMILA FORINI @ 18 Management using Mac Cosmetics, Styling Assistants MISTY DEE GRFFITHS & AMIE FASULUKU, Production Assistant DANA VERRI, Model MOFFY @ Storm.